The President's Volunteer Service Award recognizes, celebrates and holds up as role models Americans making a positive impact as engaged and deeply committed volunteers. EqOpTech, a PVSA certifying organization, shares a similar vision to empower and enable student volunteers with a platform to gain real-world experience and leadership skills and inspires them to give back to the community. On March 3, 2019, EqOpTech is proud to celebrate volunteerism recognizing students from Saratoga High School and Los Altos High School for their service and commitment to the underserved community in the area of technology and education. We applaud their 2018 community service projects to level the playing field in education via technology. Congratulations To EqOpTech's 2018 PVSA award winners. We are honored to award the following well-deserving students with the official PVSA medallion, personalized certificate of achievement together with a congratulatory letter from President of United States. 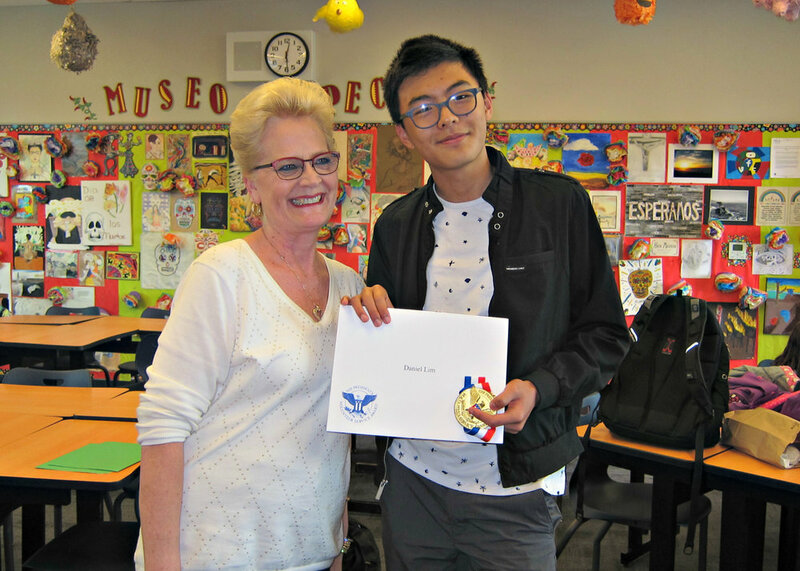 A special thank you to Cedric Chan, our new intern for producing the 2018 PVSA ceremony iMovie. Going forward, let's work together to make EqOpTech bigger, better and greater. 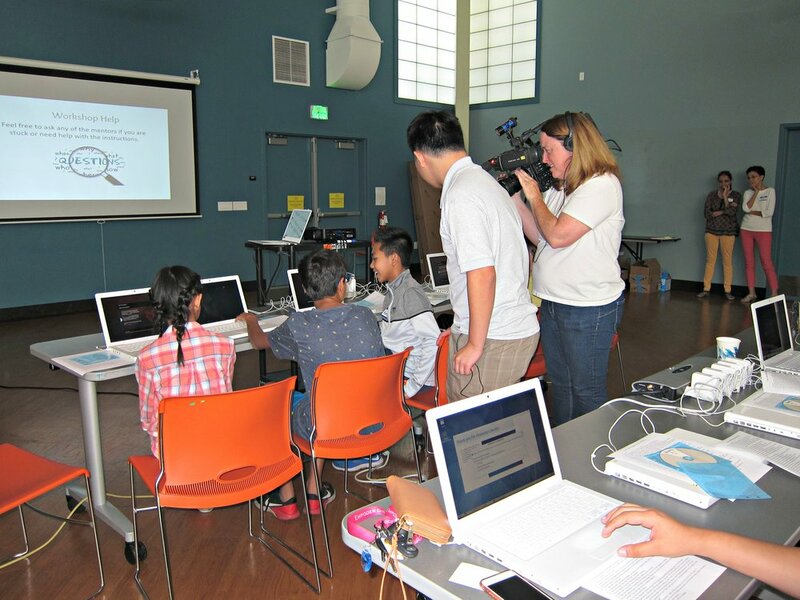 EqOpTech of Los Altos, a 501(c)(3) nonprofit donated 56 refurbished laptops to middle school students living in East Palo Alto, most of which have never owned a laptop before. Students standing in a circle were thrilled with their new laptops with Kevin Gao, EqOpTech President, standing in the back. Many children have never owned a laptop, so they are unable to do research projects or homework assigned to them at school. To make do, they have to borrow their parents’ smartphones when they are home to complete their work. However, the screens are too small and cause a strain on the eyes, not to mention the fact that the keyboards are tiny and unwieldy; a proper laptop is much better for work. The EqOpTech students-help-students program seeks to benefit needy students with technology tools and training to enhance their ability to excel academically. Since 2015, EqOpTech has launched a program to recycle, refurbish and redeploy unwanted laptops to support and teach the Science, Technology, Engineering, & Mathematics (STEM) program benefiting underserved students in San Jose, Mountain View, Los Altos and East Palo Alto. Each of EqOpTech’s Macbooks have been refurbished to replace their outdated Mac OS software. Students will now have easy access to computers for home use to take online classes such as Khan Academy and collaborate with classmates in online homework and research. With our laptops, these children can do research at home and write essays using their laptops rather than having to go out to libraries to use public computers. Now, the students can independently browse the internet without needing to borrow the smartphones of their parents, and for as long as they want. We hope that through our laptops donation program, the children will not only open up new opportunities but also empower them to better their own lives with technology. EqOpTech Inc. is an IRS-designated tax exempt 501(c)(3) nonprofit organization that enables free, equal opportunity learning via access to technology in under-served community. EqOpTech provides easy access to computer hardware, software, and mentor support in STEM education. For more information, visit www.EqOpTech.org. Follow EqOpTech on Facebook, LinkedIn, Twitter and YouTube. The Equal Opportunity Technology Program provides both leadership opportunities and real work experiences for student volunteers. It is with great pride and honor to recognize the following recipients of this year’s EqOpTech Awards for their demonstrated passion and above-and-beyond commitment serving as leaders and role models for others. · Daniel Lim, Class of 2020, Los Altos High School. Kevin Gao leads the EqOpTech’s Computer Refurbishing Workshop at Los Altos High School with members of National Honor Society. He is very team oriented, engages all volunteers to give back to the community while learning technical computer skills. Kevin is an effective collaborator with community leaders; cultivating community partnership with Rambus Inc. and Sunday Friends to jointly recycle, refurbish and redeploy used laptops for students in need. We thank you, Kevin for your good citizenship, leadership and contributions to promote equal access to technology. 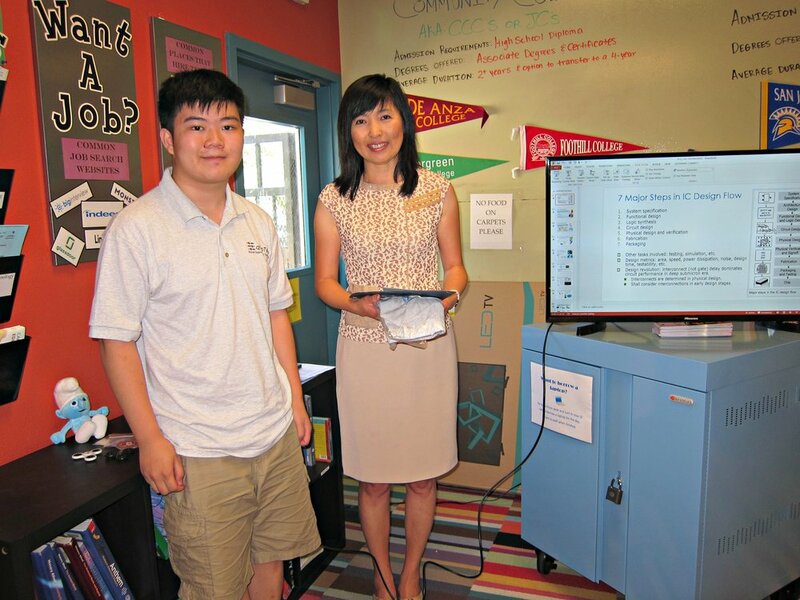 Daniel Lim leads the Computer-in-the-Box program at Egan Junior High School to revive used computers. He trains students in computer skills while giving back to underserved community, and act as a role model for students. On his own initiative, Daniel initiates a laptop donation program to Uganda, enabling a business school student technology access to do homework and research. EqOpTech is especially proud of your passion, initiative and creativity to help needy students to excel in STEM education. We thank you, Daniel for your commitment, contributions and inspiration. *EqOpTech Leadership Award is sponsored by the Lee Family Trust. Los Altos – EqOpTech of Los Altos, a 501(c)(3) nonprofit is teaming up with Rambus to deploy used laptops to provide equal access to technology, as part of an ongoing computer reuse initiative to benefit needy students and minimize e-waste. Since 2015, EqOpTech has launched a program to recycle, refurbish and redeploy unwanted laptops to support and teach the Science, Technology, Engineering, & Mathematics (STEM) program benefiting underserved students in San Jose, Mountain View, Los Altos and East Palo Alto. Kids from low-income families will now have easy access to computers for home use to take online classes such as Khan Academy and collaborate with classmates in online homework and research. Rambus Incorporated, founded in 1990, is an American technology licensing company, has donated its surplus laptops to support EqOpTech's computer reuse program. 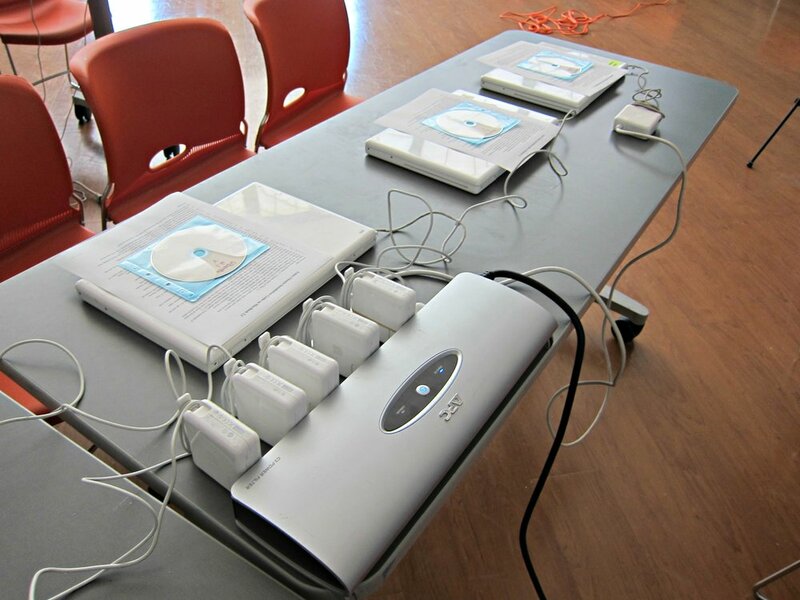 EqOpTech will install new hard disk drives onto the donated laptops helping to prolong their service life and reinstall all operating systems, drivers, and software to restore the computer to its original full functionality. Over the last two years, EqOpTech has given a new and purposeful second life to hundreds of used laptop computers and put them back to productive use for students in need. KPIX 5 CBS surveys conducted within the last year show more than one in ten California households don’t have access to the internet because many cannot afford a computer. EqOpTech Inc. of Los Altos, Jefferson Award winner, deploys used computers to provide equal access to technology and minimize e-waste. KPIX 5 has donated its surplus computer equipment to support EqOpTech's computer reuse program. EqOpTech will install new hard disk drives onto the donated laptops and reinstall all operating systems, drivers, and software to restore the computer to its original full functionality. Over the last two years, EqOpTech has given a new and purposeful second life to hundreds of used laptop computers and put them back to productive use for students in need. A special thank you to CBS/KPIX 5 reporters for producing and airing the Jefferson Awards story and help us get the word out to the community. Community collaboration is key to our success in enabling technology and fighting inequity. We team up with local schools, service clubs and companies to host refurbish workshop, tech talk series and STEM-related workshops to teach, mentor and motivate young learners to develop STEM interests and skills. Over the last two years, EqOpTech has revived hundreds of used laptop computers and put them back to productive use for students in need. EqOpTech, a Los Altos 501(C)(3) student-run nonprofit, promotes and enables equal opportunity free access to technology for computer learning and STEM education for students in need. EqOpTech partners with Blach Junior High School to launch a laptop drive to benefit students in need. All donated laptops are refurbished and deployed to students who do not have easy access to online educational content. The 21st century project-based learning is the future of education. Technology is deeply integrated into project-based learning; students are expected to learn and leverage technology tools, from online research, collaboration using google hangouts or google docs to shooting video, iMovies for TED talks. Likewise, teachers use tools like Edmodo, Membean and other Google tools to foster collaboration and student engagement. This collaborative environment aims at sharpening student's research and analytical skills as well as teamwork and project management experience expected of them in the real world. For this reason, it is essential that students have access to laptops both in class and at home. The traditional classroom now transforms into a virtual classroom that extends learning beyond the physical classroom. This poses a learning challenge for students who do not have laptops at home. Not only are these students unable to access online research at home, but they also cannot collaborate real-time with classmates to prepare for classroom discussion. Overtime, students without laptop will be lagging behind their peers, learning at a slower pace. To bridge the gap for students who do not have laptops at home, Lee, Gao, and their tech team, student volunteers, including LAHS National Honor Society work tirelessly in various Refurbish Workshops to repair, upgrade and install necessary software on all donated laptops. The EqOpTech technical team taught students basic PC refurbishing skills (Windows, Mac, Linux, Chromium) such as removal of personal data, restore to factory settings, install drivers, maintenance; operating system & software installation, partition hard drive and dual boot, upgrade and repair; and security etc. EqOpTech is seeking functioning laptops (Windows & Mac) with appropriate power adapters on an ongoing basis. Each laptop will be refurbished to its full functionality with operating system and removal of all personal data prior to redeployment. "Our goal is to promote equal opportunity learning through technology tools," according to Terence Lee, CEO and Founder of EqOpTech. "All donated laptops will be refurbished and redeployed to kids who do not have easy access to Google Drive and other cloud-based applications." This project is funded in part by a community grant award from Los Altos Community Foundation, thank you LACF! The EqOpTech team would like to express its sincere gratitude to the donors, silicon valley tech companies, Principal Bhavna Narula, Ms. Alice Lee, LAHS Teacher Sra. Rodriguex, Principal Wynn Satterwhite, Los Altos School District, Los Altos Town Crier, Nextdoor Community for their support. On September 16, 2017, EqOpTech hosts a seventh tech talk in a series of Speaker/Workshop for students interested in the tech fields. This tech talk features Andreas Santucci, a data scientist and lecturer at Stanford University. In this segment, Andreas talks about how he got to where he is today: the challenges he had to overcome, the path he took to get here, and how he became a data scientist, despite originally wanting to be a lawyer. The world of data science enables him to combine his personal interest using predictive analysis to make sense of the world around him while at the same time provides for an opportunity to problem-solve and innovate. Andreas reveals that going straight to a four-year college after high school is not the only path you can take; he describes the path he took, which helped him greatly in discovering his interests and getting him prepared for college. After finishing high school at Los Altos High, Andreas was accepted into many schools, including UC Santa Cruz, but instead chose to go to Foothill College, the local community college, as the courses offered at Foothill were more interesting and offered more freedom. -Offers transfer agreement guarantees to all UC’s except UCLA and UC Berkeley, meaning you are guaranteed a spot in the college as long as you take basic courses and maintain a decent GPA. -Professors are very good, and Andreas comments on how some of his best professors in Stanford, Berkeley, and Foothill have been from Foothill College. -All the opportunities are there for you to grab; if you are self-motivated, you can get a lot out of the program and widely expand your horizons. -Being able to enter a 4 year university afterwards knowing exactly what you want to major in and what you want to study, instead of having to start from scratch. Out of Foothill, Andreas went on to UC Berkeley, where he tried out for diving for the first time ever, and after training 30-40 hours per week, he soon found himself a spot on the diving team’s travel squad. 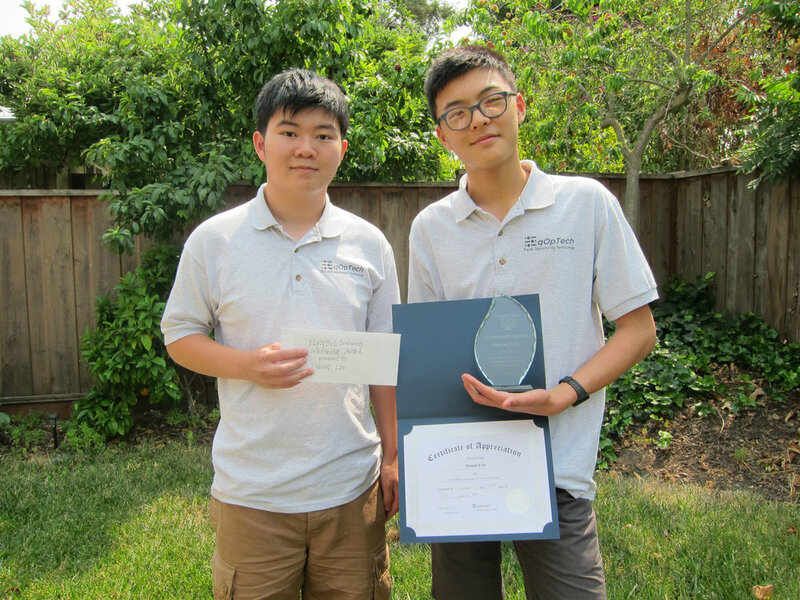 At the same time, he maintained a high GPA and received the highest honors in his economics courses, and from there he went on to Stanford University. What Andreas’ path demonstrates is that our interests or what we want to major can evolve over time. While he was in high school, he always thought he was going to be a lawyer when he grew up. In Foothill College, he explored other disciplines and developed an interest in economics from among the many courses he took there. In the next two years, he completed all the economics that the college had to offer. At UC Berkeley, he continued taking economics courses, while still believing that he would be going to law school soon enough. In his final year, he took a course in econometrics, an economics class which uses mathematics, and mostly statistics, and he found it to be the “most useful facet of economics”. Before long, he began to delve into STEM, learning to program first in stata, a pseudo programming language, and eventually onto more complicated ones. At an internship in an economics consulting firm, he learned the R programming language, and went on to become a data scientist. In fact, this is not uncommon at all; statistics show that 80 percent of all students in the United States change their majors at least once, and on average a student will change their major three times. This is valuable because it emphasizes how important it is to have an open mind going into things, and how we should be motivated to try and explore our interests in the early years of college. If you think you’ve got your future job laid out for you already, think twice about it; there are almost 2000 majors out there, and you probably haven’t explored even a quarter of them yet. An obvious point that is not so obvious to many is to choose something you really want to do. And if you have multiple interests, why not do something that combines elements from each interest? Andreas shows everybody exactly this, as he combines two things he really enjoys, data science and sports, into the work that he does. At UC Berkeley, Andreas was very active on the diving team, where he frequently went to competitions and slowly made his way up the ladder, starting from scratch and ending up on the travel squad team. At the same time, he was also starting to take courses relating to statistics. Combining these two, he conducted a study on what effects of being a student athlete had on a student’s grades. Later on, he would further investigate similar topics, such as: Is there a causal effect of major sports teams visiting night life teams? What happens the next day; do they get a “hangover” effect? Through this, he was able to use a subject he was interested in, numbers and statistics, to calculate something that he really cared about. Andreas shared that he pursued a different track from his peers at graduate school in Stanford; he took summer courses to jumpstart the program. 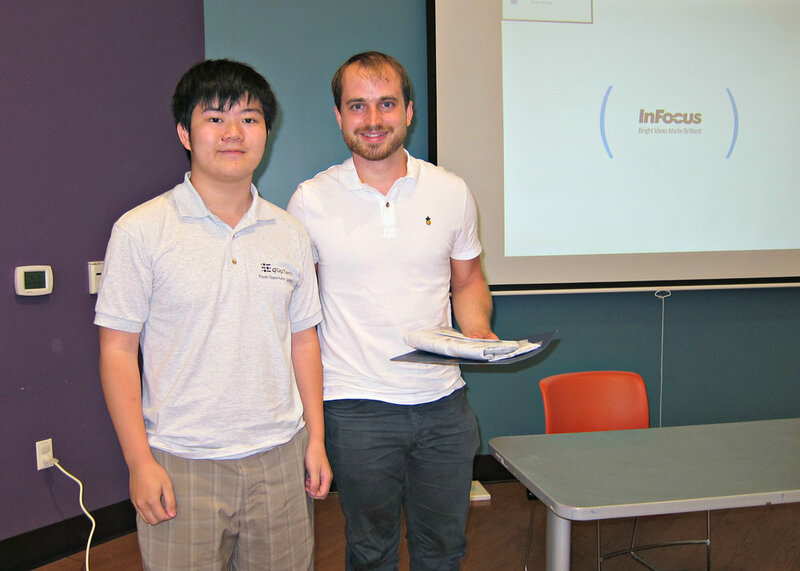 He focused on a solid programming curriculum and built connections with students that have complimentary skillset such as in applied math and took on joint projects requiring programming and math skills. In his first year, he got an internship at Lawrence Livermore using machine learning to develop early prediction or one-step prognosis of sepsis infection contracted while in hospital. He teamed up with Kaiser Permanente by accessing electronic medical records to analyze patterns while patients are in ICU before getting into septic shock. Andreas built tooling using distributed computing system with Spark to develop the analytics tools. In his second year, he took core PhD courses and qualifying exams for PhD. His reputation of good note taking led him to a teaching opportunity at Stanford. He was voted Graduate Teaching Fellow at Stanford. Motivated by his personal interest to phase out the time-consuming manual grading by TA, Andreas engineered an AutoGrader system, to facilitate programmatic grading of students' computer programs using machine learning. At Cardinal Analytx Solutions, Andreas’ role as a data scientist is to use advanced machine learning models to predict future high cost member event and work with clinician teams to recommend medical intervention to improving the quality of care while containing costs. Andreas "walked-on" to the school's Swim and Dive team at UC Berkeley, and he earned a spot after the official roster had been set. This is Andreas’ inspiring story: his work ethics, passion, hard work and motivation propel him to rise up and achieve great things. EqOpTech would like to sincerely thank our speaker for taking the time to share his experiences and invaluable words of advice. In the Silicon Valley, technology and WiFi are ubiquitous necessities that are used on a daily basis for everything from doing research to finding routes. However, in many third world countries, the advanced technology that the Silicon Valley takes for granted are rare and precious. On November 2017, the 24-year-old student, Paul Mwanika, from Uganda received a refurbished Macbook from EqOpTech. Paul attends a business school, where there is WiFi, yet back at his home village he has no internet connection and the computer is less useful. Without WiFi, he cannot access the internet and is restricted to simply using the apps he has on his laptop, or anything he has downloaded. Most places in Uganda do not have any WiFi, so technology is a luxury that the vast majority cannot enjoy. Since receiving his laptop, Paul has been using it in his daily life. As a student, he uses the laptop for note taking, research, sharing files, creating presentations, and social networking. As a young adult, he uses it for personal entertainment by interacting with people from all over the world using FaceBook, Twitter, and email. Paul believes that ”laptops are embraced because of the technological tools they offer combined with their portability.” His laptop allows him to access all the materials he needs for schoolwork, including but not limited to classroom notes, articles, or software for creating videos and presentations while he is at campus. Without his laptop, he either must carry all his class documents with him or look for a communal computer to access class materials. Seeing the impact the laptop had on a student from Uganda, EqOpTech will continue to donate refurbished laptops to Uganda in hopes of positively impacting more people from around the globe. Los Altos – EqOpTech of Los Altos, a 501(c)(3) nonprofit is teaming up with Integrated Device Technology (IDT) to redeploy used laptops to provide equal access to technology, as part of an ongoing computer reuse initiative to benefit needy students and minimize e-waste. 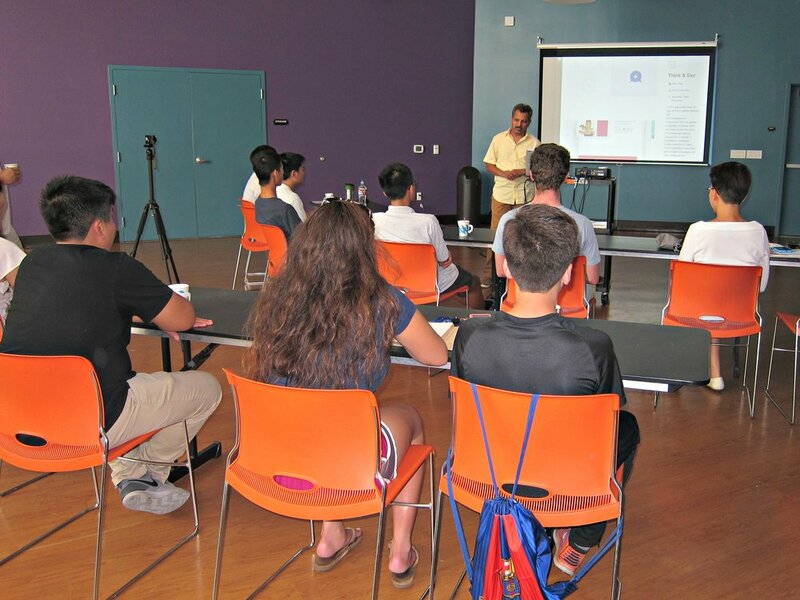 Since 2015, EqOpTech has launched a program to recycle, refurbish and redeploy unwanted laptops to support and teach the Science, Technology, Engineering, & Mathematics (STEM) program benefiting underserved students in San Jose, Mountain View and Los Altos. Kids from low-income families will now have easy access to computers for home use to take online classes such as Khan Academy and collaborate with classmates in online research. IDT, a leader in semiconductor solutions, has donated its surplus laptops to support EqOpTech's computer reuse program. IDT has generously installed new hard disk drives onto the donated laptops helping to prolong their service life. EqOpTech will then refurbish and reinstall all operating systems, drivers, and software to restore the computer to its original full functionality. Over the last two years, EqOpTech has given a new and purposeful second life to hundreds of used laptop computers and put them back to productive use for students in need. Integrated Device Technology, Inc. develops system-level solutions that optimize its customers' applications. IDT's market-leading products in RF, high performance timing, memory interface, real-time interconnect, optical interconnect, wireless power, and smart sensors are among the company's broad array of complete mixed-signal solutions for the communications, computing, consumer, automotive and industrial segments. Headquartered in San Jose, Calif., IDT has design, manufacturing, sales facilities and distribution partners throughout the world. IDT stock is traded on the NASDAQ Global Select Stock Market® under the symbol "IDTI." Additional information about IDT can be found at www.IDT.com. Follow IDT on Facebook, LinkedIn, Twitter, and YouTube. With the wealth of technology here in the Silicon Valley, there is an abundance of old technology slated for e-waste. Yet, many at-risk students do not have easy access to computers to complete online homework assignments or collaborate with classmates on projects. EqOpTech aims to provide free access to technology via refurbished computers to empower students to learn through technology. A big thank you to San Jose Christian School for their generous donation of a MacBooks collection to EqOpTech's. Through the Computer-in-a-Box program, student volunteers will install Linux OS as a dual boot to enable access to the latest Google applications onto these MacBooks. A special thank you to CBS/KPIX5 reporters for producing and airing the Jefferson Awards story and help us get the word out to the community. Community collaboration is key to our success in enabling technology and fighting inequity. We team up with local schools, service clubs and companies to host refurbish workshop, tech talk series and STEM-related workshops to teach, mentor and motivate young learners to develop STEM interests and skills. Over the last two years, EqOpTech has revived hundreds of used laptop computers and put them back to productive use for students in need. On August 12, 2017, EqOpTech hosts a sixth tech talk in a series of Speaker/Workshop for students interested in the tech fields. The tech talk features Scott Best, technical director of anti-counterfeiting in the Rambus Cryptography Research Division. Best leads off the meeting by introducing gold: why is it so special? From all the elements on our periodic table, why does gold hold such an important role? We all know that gold is a rare and precious metal, but where exactly does it come from? When a star explodes (going supernova! ), it scatters precious metals all across the universe. In the form of meteorites, many of these metals landed on our planets hundreds of millions of years ago. Among these were many of our well-known metals today, including nickel, copper, platinum, and of course, gold. Medium: can buy stuff with it? Measure: how valuable is that thing? Standard: how much do you owe me? Two types of money that fits these requirements are our currency and credit cards, both of which we see very often in our daily lives. Before these were created, another type of money used was in the form of gold. Best describes that while other metals may be too abundant or dangerous to serve as a form of money, gold is finite and valuable, fitting the requirements above perfectly. Finally, another form of money has recently come into existence: the bitcoin. Best dives into the security of our credit cards; in addition to the magnetic stripes and the 16-digit code with a pattern (Luhn Algorithm), cards are now equipped with microchips that make them even more secure. However, even with all these layers of protection, credit cards can still be hacked. The magical code pattern for the digits of a credit card follows a simple addition algorithm, and other parts can still be replicated. Even if the chance may seem infinitesimal, there’s always a risk of a successful attack. In contrary to using addition as a form of security, cryptographers like Best perform what is known as "hashing." In his presentation, Best uses a deck of playing cards to simulate the process of hashing, using random numbers to perform a set amount of operations on the cards, thus generating a final position. When trying to guess the initial number with a final position, however, he demonstrates that it is nearly impossible. Best shows that hashing is “very easy in one direction… and almost impossible in the other”, and explains that while many of the elite cryptographers have tried to break the code, the only method available right now is to guess and check, making it nearly impossible to hack. Finally, Best covers the big topic: the bitcoin. To many, the term is new or foggy - and it should be. After all, it was launched as a currency in 2009, and has only continued to expand each year. The bitcoin is a form of currency, just like gold or paper money, that can be spent or saved online. To understand the bitcoin, we must also understand the blockchain. The blockchain is essentially a ledger, a group of transactions displayed in a list, and a bitcoin is an entry on that ledger. What makes the bitcoin so great? For starters, it is much more secure than cash; by using hashing and 256 digit codes, bitcoin is as secure as it gets. Not only that, but it is also more trackable and less anonymous than cash, making it less susceptible to hacking attempts. With the rapidly developing technology today, it’s no surprise that bitcoin continues to grow; transactions and storage are all managed by the speedy and efficient system known as the internet. In addition, bitcoin can only be shut down in one way - by turning off the internet, which certainly won’t be happening anytime soon. In retrospect, the bitcoin shares many similar features with gold. Both serve as valid forms of money, and each are finite in value; there is only a limited value of gold on the planet, and there are only so many bitcoins floating around (after all, the amount is controlled). Unlike money, which suffers from constant production, both of these forms of money manage to retain its value and fight off inflation. And finally, gold is extremely valuable to us, and in the same way, so are bitcoins: one bitcoin holds the value of approximately 4,000 US dollars today!!! Last week, students follow instructions to download Autodesk Fusion 360 and learn how to design a fidget spinner. 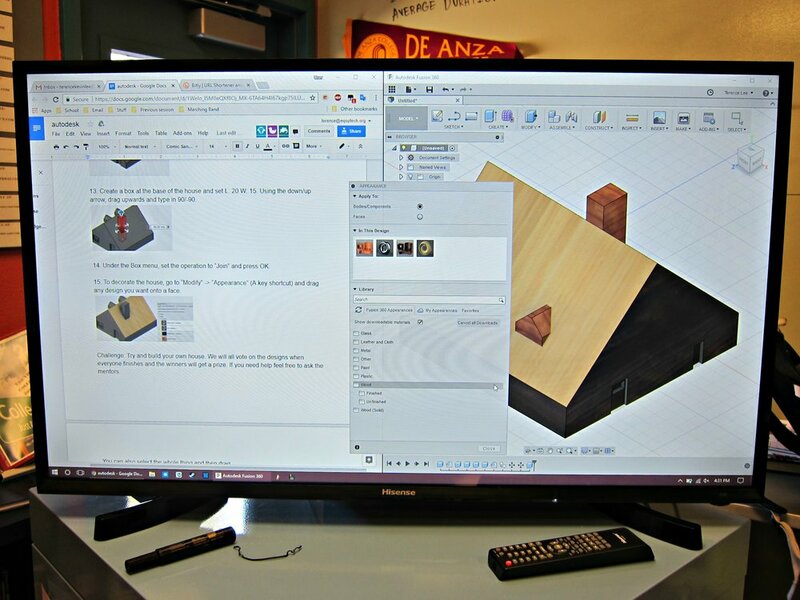 In this week’s workshop, attendees use Fusion 360 to design more complex and advanced designs. Following the big TV screen and live instructions on their laptops, attendees are now able to build and design their own 3D houses and get a better feel for what CAD can do. If you miss the Computer-aided Design workshops and wish to learn, access the following PDF documents to download Autodesk Fusion 360 and visit the tutorial for the fidget spinner and house design projects. Enjoy and have lots of fun. EqOpTech would like to sincerely thank Mr. Best for taking the time to present an intriguing and golden presentation. On August 5, 2017, EqOpTech hosts a fifth tech talk in a series of Speaker/Workshop for students interested in the tech fields. This tech talk features Grace Gao, Principal Engineer, VLSI CAD Engineering, Rambus. Ms. Gao leads off the meeting by introducing CAD as a highly versatile field that serves as a cornerstone for how we design and build things. How did CAD come into being? What are its historical milestones? And where is it going next? A short, animated video, "CAD innovation over the years”, answers these questions and takes us through a brief history of CAD from blueprints to the design horizon, and how it has evolved over the years. Ms. Gao works in a chip design company, so she emphasizes her talk on how to use computer-aided design in Very Large Scale Integration ("VLSI") to make a computer chip, a process called EDA, or electronic design automation. Another short video, "EDA: Where Electronic Begins”, briefly explains the functions of EDA and how it drives the growth of the semiconductor and electronics industries. The video also unveils the whole process on how computer chips have been designed and manufactured by using electronic design automation. In addition, our speaker also brought real chip samples with her, so seminar attendees are not only able to learn the topics from the presentation and videos, but can also touch and feel them to help visualize what a real "chip" is like. There were several computer chip dies, chip in the package board, and a 12-inches wafer which cost a half a million dollars from a real tapeout. One small chip has been used in Microsoft xbox, and another small chip has a few billions Transistors count in a small 0.5x1 inch^2 area! The second part of the seminar covers the basics of electronic design automation. Ms. Gao highlights the 7 simplified steps on how a computer chip can be designed and manufactured with the help of EDA. She also briefly talks about EDA challenges and future trend, the Moore's Law and the technology roadmap for semiconductors. It is through this presentation that seminar attendees gain a greater appreciation on how important CAD software tools are in designing complex VLSI chips with billions of transistors, millions of logic, lots of memory, control and interconnect, etc. 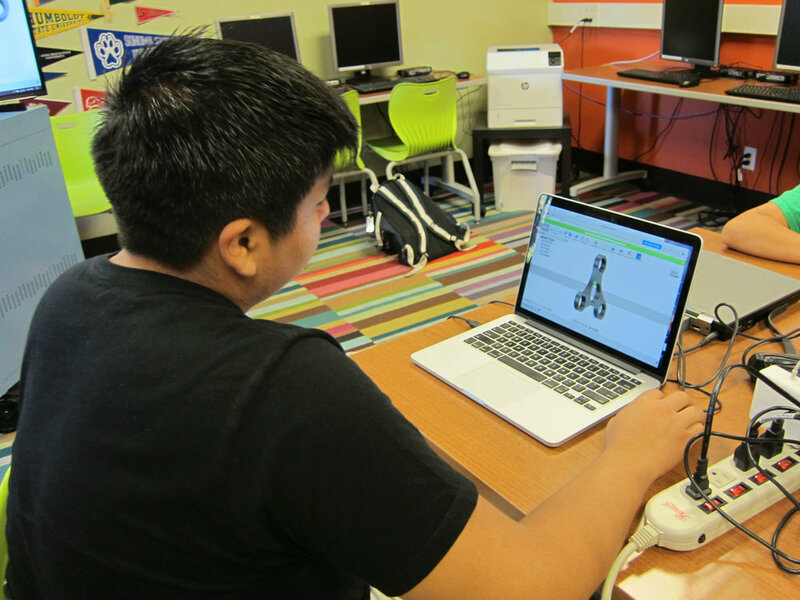 CAD engineering attracts young, self-driven students with an interest in software or hardware engineering. Ms. Gao encourages everybody to apply for an internship. She shares an enjoyable experience with a previous intern at her company, remarking that interns bring in new perspectives, new ideas to the company, and are tech-savvy. 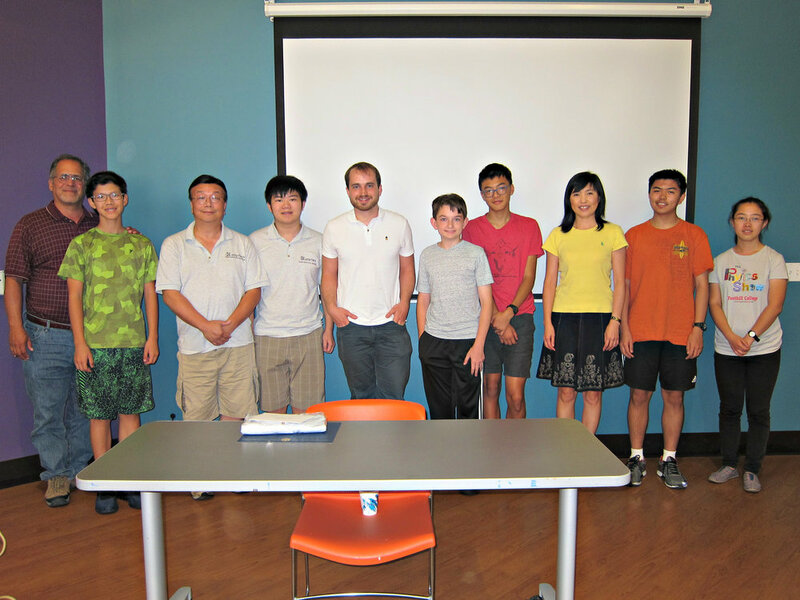 "Our intern are just like one of us, under appropriate supervising, not only are interns quick to learn a new programming language, but before the internship concludes, he also takes the initiative to benchmark and compare the pros and cons of another programming language he is familiar with; so we both benefit and learn something new," Ms. Gao remarks. "In an age where technology never stops advancing, young, driven interns are quick to adapt and highly versatile at what they set out to do." In a work environment, communication and teamwork play a huge role in helping coworkers advance. A general rule of thumb: it is best to conduct prior research on the subject matter before asking a question. "One of my ex-coworker, always outlined in his e-mail a proposed solution for all questions he raised. This way, we can use that as the basis, brainstorm and collaborate to come up with an efficient and effective solution," our speaker recalls. Workshop attendees learn from the live presentation, watching the entire process on the big TV screen. In addition, they receive one-on-one hands-on experience during the following CAD workshop, where they are able to build 3D models from scratch and get a feel for what CAD is really like. 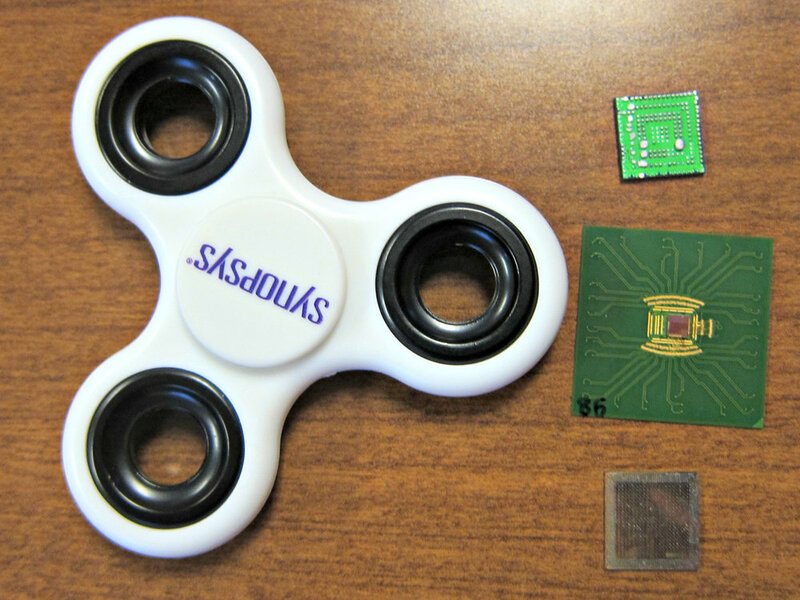 In our workshop, attendees are able to craft their own fidget spinners on Autodesk Fusion 360. EqOpTech would like to thank Ms. Gao for an informative and eyeopening presentation and to Kevin and Terence for their leadership in the CAD design workshop. Thank you for all the fun props and prizes to keep the tech talk interesting and engaging. On July 29, 2017, EqOpTech hosts a fourth tech talk in a series of Speaker/Workshop for students interested in the tech fields. The tech talk features Magdalene Lim, a backend software engineer from LinkedIn. She is quite new to the industry, having graduated from college in 2015. She hopes to inspire others to try coding and truly believes that everyone has the capacity to do it. Our speaker, Magdalene, a recent Cal graduate with a CS degree and having worked at both Amazon and LinkedIn, was able to relate to the younger audience about her journey and challenges in her quest to pursue a high-tech career as a female engineer. In that regards, she delivered some very valuable information to our audience. Magdalene described the challenges in getting admitted to a CS program at one of the nation’s top university and thus giving hope to those in the audience with similar aspirations. Given the highly competitive CS program at Cal, she shared how important it was for her to be able to seek the help of professors and upper classmen to help as she struggled and competed among other classmates who were much more tech savvy than her. Through hard work, determination and the ability to seek peer support, she was able to overcome her initial doubts and succeed in pursuing her career goal. She also graciously shared with the audience her transcript that despite not having a perfect GPA, she was able to obtain an internship at a highly desirable company where competition is fierce for the few available positions. Getting the first internship was not an easy task as she showed that it took sending out hundreds of resumes just to get a few reply but it was through hard work and persistence that she was able to land her internship position at Amazon. She gave valuable insights as to how to prepare for a highly technical interview and provide reference to a book that helped her tremendous. These are especially valuable for those seeking future internships as these tips are not usually taught at college. Magdalene talked about how the internship gave her an opportunity to experience Machine Learning and how it did not appeal to her interest as she had initially anticipated and how she had redirected her career choice to her current position at LinkedIn. This is a very valuable lesson for the audience as it emphasize the importance of not being afraid to experiment and then change course, if necessary, in one’s pursuit of aligning one’s career choices with one’s passion. Magdalene also pointed out some of the rewards and perks for working in the high-tech industries such as the free snacks and also the freedom to have the ability in pursuing other interest and hobbies while keeping a highly demanding career. The example that Magdalene gave of her friend pursuing his dance passion was excellent in showing that there is life beyond work, sharing the concept of “we work to live, and not live to work”. Following the Tech Talk, EqOpTech hosted a Computer In A Box workshop to revive and reuse older laptops as a learning tool to enable needy students with an "equal opportunity" access to the cloud (eg. Google Drive) and to minimize unwanted computers going to e-waste. 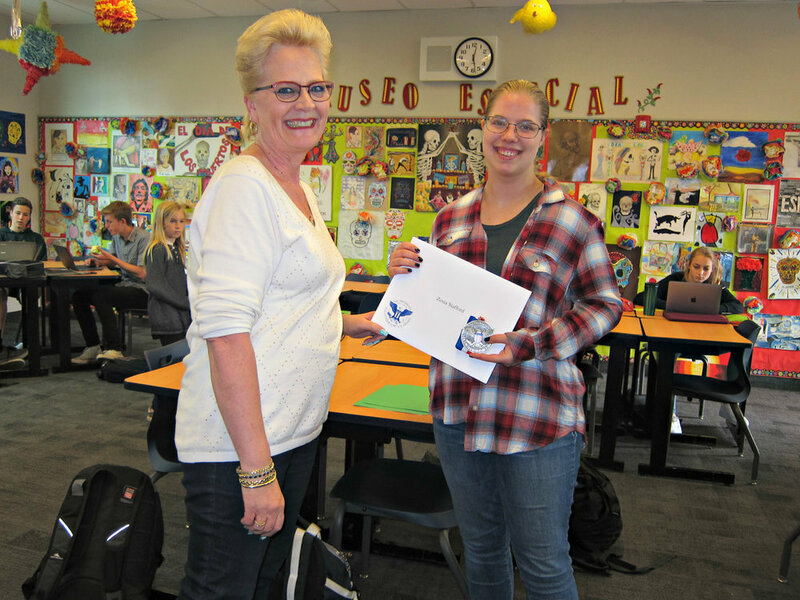 The Los Altos School District has generously donated its first and second generation old White MacBooks to EqOptech. The EqOpTech tech team leads both the Los Altos High School, Egan Junior High School EqOpTech school club members and MVLA Scholars to not only refurbish each laptops to its full functionality but also dives into the latest technology to give the old laptops a new life via a Linux/Mac Dual Boot. By installing a second Linux operating system into an old MacBooks or Windows Laptop, students are now able to access the latest Google Applications and other cloud applications. The Linux dual boot not only allow access to the latest tech applications but also boosts system performance of older laptops so that they are usable. The service project not only inspires students to give back to the community, it also empowers and enriches participants' computer engineering skills while helping other students in need. EqOpTech Founder, Terence Lee has been recognized as a "Quiet Hero" for his nonprofit work by the Jefferson Award Foundation. The Jefferson Award is a Nobel Prize for public and community service by ordinary people who do extraordinary things without expectation of recognition or reward. 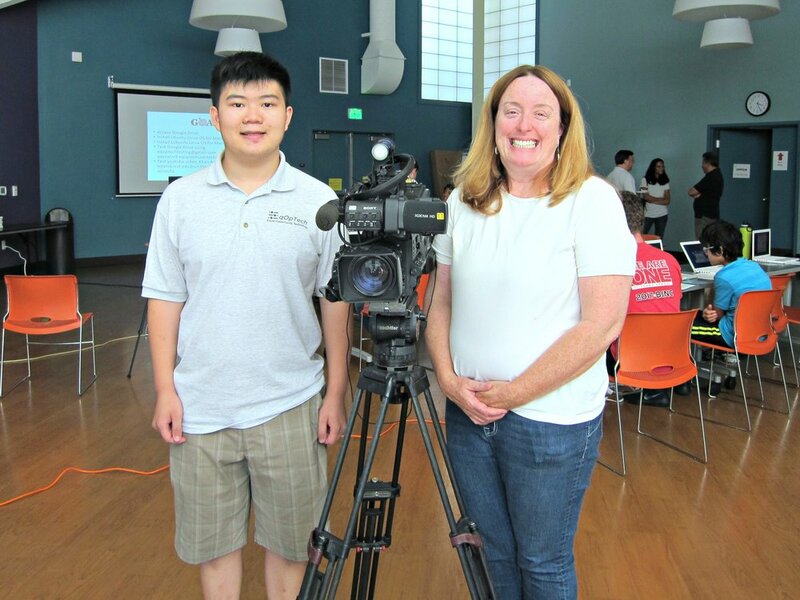 During the workshop, CBS/KPIX reporter crew Sharon Chin and Jennifer Mistrot conduct an interview and video shoot of our Founder, Santa Rita Principal, a Santa Rita 5th grader who is a refurbished laptop recipient and a workshop participant. Visit here for the Jefferson Award story. On July 22, 2017, EqOpTech hosts a third tech talk in a series of Speaker/Workshop for students interested in the tech fields. The tech talk features Shrikant Nasikkar, Entrepreneur, Founder/CEO of Chaperone, a silicon valley startup. Nasikkar kicks off the meeting by sharing the SmartUp app, a platform to help develop soft skills: communication, creativity, collaboration. Students are given a template with 2 different characters: Martian and Teletubby to create a scenario. Based on the exercise, students explore different ideas using imagination and creativity, communicate the idea with one another, learn from one another, collaborate to improve and make it better. The takeaway here is that there is no right or wrong answer, everyone is born with creativity. It is the different background and subjectivity that bring forth perspective and imagination that breed success. Do not be afraid to always try something different, see a different perspective or a different path, learn to weigh the pros and cons, and challenge oneself to a better way of doing things. Today, ideas and knowledge can be googled easily, the best idea may not be original, but "it is what you do with it that gets recognized in a startup environment," according to Nasikkar. Knowledge is always there, the idea is not worth anything until you take the next step to apply the knowledge to solve a problem. Just like it is not the first time one see the characters on the drawing, it is that open-mindedness, creative thinking, willing to experiment and explore, peer learning and collaboration that makes the idea and activities valuable. Nasikka showcases his Teens Take Off at Kaiser Permanente, using Adobe Illustrator, Flash, InDesign to create an interactive game designed to help teens lose weight as a group therapy. The tool is made available to enrolled patients which allow them to learn about healthy habits while having fun. Nasikka's Ergonomics design utilizes Adobe Illustrator, Flash and Photoshop to help Kaiser solve some of its health challenges. SmartMoves was a program designed to help their 900k employees with Ergonomics at the workplace. Thanks to technology, through creative design and content, he can create tools to effectively engage stakeholders to change behavior. "The technology part is easy, it is the content design, user interface, user experience (UI/UX) that takes creative thinking," said Nasikka. "Think out of the box,stretch, go beyond your comfort zone and don't be bound by normal boundaries." He also said that if something is normal, it becomes mundane; it is the only if something fails that creates an opportunity to learn something new. When asked about what are the future challenges for start-up like Chaperone, Nasikka said there are 2 challenges, (1) create awareness (2) change behavior. Buying more advertising can address customer awareness. But behavior change takes time and education. Rideshare is a movement, an evangelism; analogous to the green movement of banning plastic bags in California. Overtime, shoppers are now accustomed to carrying their own recycled bags. On behalf of our attendees, EqOpTech would like to sincerely thank our speaker for taking the time to share his invaluable experiences and words of wisdom. Our past and upcoming events are posted on our website here, including topics on networking, cyber security, user interface development, entrepreneurship, machine learning, artificial intelligence, entrepreneurship and CAD engineering etc. Please stay tuned. On July 15, 2017, EqOpTech hosts a second tech talk in a series of Speaker/Workshop for students interested in the tech fields. The tech talk features Kevin Whitley, Software Engineer from Roadster, a silicon valley startup. The seminar attendees learn how Roadster revolutionizes the car-shopping experience and hear a deep dive discussion with the developer and cofounder, Kevin Whitley, who designs and builds the self-service User Interface (Roadster Express) that gets customers through the entire transaction 100% online with the brand-new vehicles delivered to their doorstep. Whitley kicks off the meeting by underscoring the importance of being a good communicator, facilitator and team member in addition to technical skills. Having these skill set will not only bring lots of value to any organization but also happiness at work. What used to take an army of technical staff twenty years ago at Ariba now takes only four people to build a software application at Roadster. What is the difference: inexpensive software libraries, database and operational deployment now made possible by Amazon Web Services on the cloud. "Nowadays, a small team can build a good size application and use inexpensive tools to deploy it on cheap software," said Whitley. "This trend will continue with Uber, AirBnB using platform as a service on the cloud. Before long, one person will now be able to build software to design a house, an airplane, send someone to the moon, you can solve a problem with few people, pretty cool!" Besides being a programmer, Whitley writes poetry, he offers the best way to get started is to read a book, google search and find online resources such as courses, forums etc. "Don't just read the course, code, don't copy the code, just do the coding," said Whitley. "Don't forget to reach out to the community for help and support." Real learning comes from internship, a portfolio of experience, accomplishments and technical/soft skills one can bring to the table. Whitley also provides students some pointers on resume building and career networking. Generally, recruiters or hiring managers spend less than 30 seconds to scan resumes, he discusses best practices on how to communicate and make the right impression to pass the 30-seconds scan. When asked what kind of workers will a hiring manager be looking to hire; "someone who is smart; can get the job done and can work with people," Whitley said. "Get the job done, prove yourself, is far more important than graduating from a top school." On July 8, 2017, EqOpTech collaborates with MVLA Scholars to launch a first in a series of Speaker/Workshop for students interested in the tech fields. 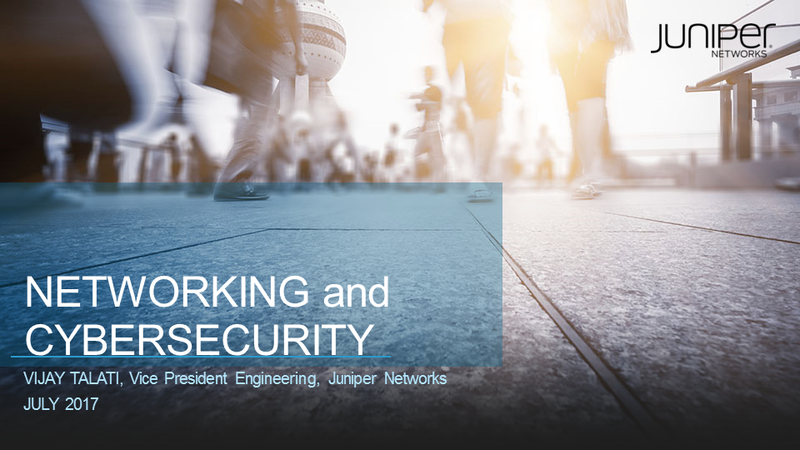 The tech talk features Vijay Talati, VP of Engineering from Juniper Networks on computer networking and cyber security. "The goal of the speaker series is to expose high potential, low income students to explore and pursue interests in the technology field," said Terence Lee, Founder and CEO of EqOpTech. 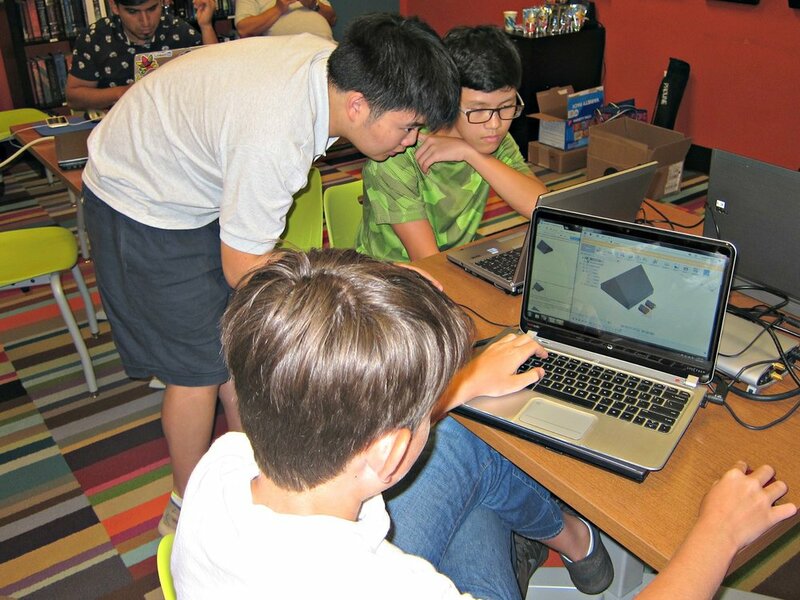 "Likewise, the workshop series are hands-on computer workshops aimed to simulate a real-world challenge so that students can learn how to troubleshoot and think on their feet to problem-solve." Following the workshop, participants may apply to volunteer and intern at EqOpTech's program to gain valuable work experience. This will prepare students for other internship and career opportunities when they arise. 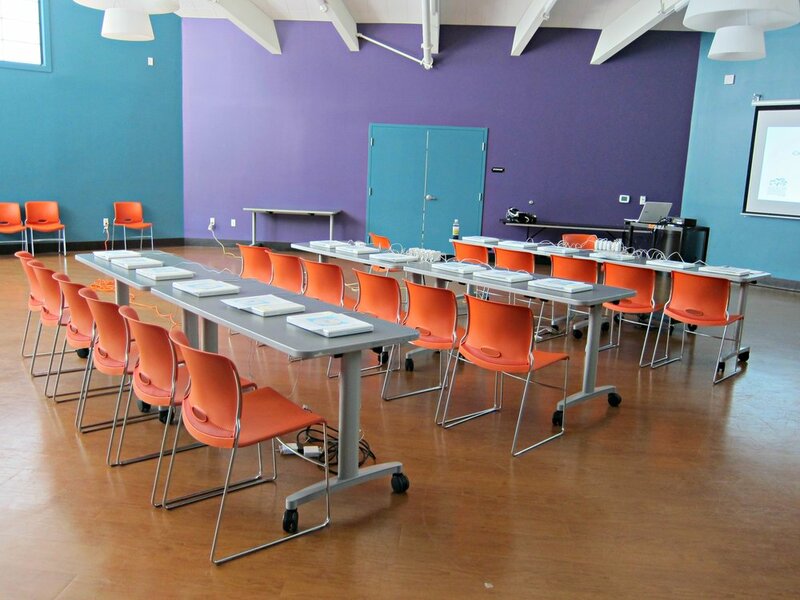 The target audience are scholars, low income students receiving scholarships in Mountain View Los Altos and other Bay Area neighborhood as well as students interested in technology. Joining the scholars are EqOpTech's volunteer/intern team who are interested in learning, teaching and mentoring in the computer science/engineering arena. EqOpTech team would like to thank Mr. Talati for an informative and enlightening afternoon of networking and cyber security. When asked about whether machine learning changes the career landscape and displaces jobs for new graduates, Talati said that machine learning, deep learning, artificial intelligence and the Big Data opens up opportunities in Data Scientists who can analyze, make sense and predict results. Talati has this advice to share with students: apply for internships and develop logical thinking and problem solving skills which are far more important than programming language skills. Our upcoming events are posted on our website here, including topics on networking, cyber security, machine learning, artificial intelligence, entrepreneurship and CAD engineering etc. Please stay tuned.